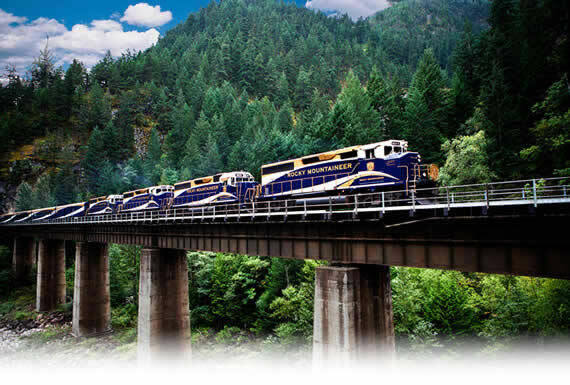 Join us onboard the Rocky Mountaineer as you travel some of the most scenic sights and views that Canada has to offer. Travel through the quaint city of Quesnel as well as Whistler, renowned for its top-notch ski resorts and gorgeous snow covered slopes. With Daylight travel only and overnight stays in the charming and moderate hotels in Quesnel, Whistler, and Jasper you will experience many of Canada's greatest natural treasures including the glacial fed Seton Lake and Mount Garibaldi. A tour on the Rocky Mountaineer has something for passengers of all ages and is an adventure you will be glad you didn't pass up.